As the City of Cumberland evolves and grows, the demand on busy Greene Street to support motor vehicles, pedestrians, and bicycles has increased. 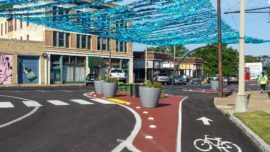 The City is examining design solutions by embarking on a Complete Streets study for the corridor, which includes traffic analysis, public input, and design solutions for the corridor, including five signalized intersections. 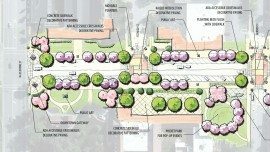 Alta is working with the community of Cumberland, Maryland to develop recommendations to establish a more comfortable, safe, and efficient multimodal transportation system along Greene Street. 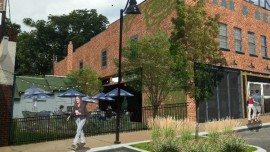 Through community workshops, site tours, and fieldwork, the Alta team is developing creative context-sensitive solutions that reflect the character of the street as it transitions from a historic, commercial segment near downtown to an arterial through a lower density area connecting to US 68. 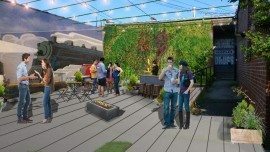 The plan will be focused on placemaking strategies that consider on-street parking, transit services, bicycle and pedestrian accommodations, and streetscape elements to create a space that is safe for all modes, celebrates the local and historic culture, and creates a vibrant corridor for shopping, dining, and living. The final plan will include recommendations and priority projects, including visualizations of future street improvements to leverage engineering and construction funds.